Looking for how to remove scratches from your glasses (or sunglasses)? Well, there are a lot of suggested home remedies for how to fix your scratched lenses. So if you've come looking for a quick fix, we have some bad news: there is no easy way to remove scratches from your glasses. We’d like to apologize for the bait and switch, but we needed to get your attention! 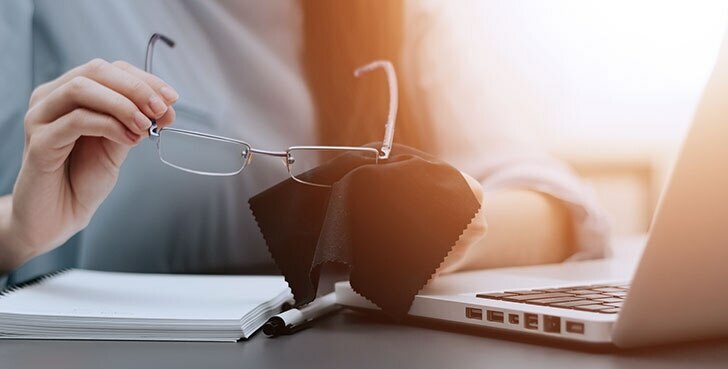 A lot of these "remedies" for how to remove scratches from your eyeglasses may make your lenses shine a little brighter, but also may end up doing more harm than anything else. "...Stop using your shirt to wipe away smudges on your glasses. it's actually one of the leading causes of scratches on your eyeglasses lenses." So why can't you use baking soda to remove scratches? It might be fine for scrubbing countertops, but one of the reasons it works so well is that it's abrasive, meaning that it scrapes away at whatever it's cleaning. Using it on your eyeglasses lenses will not only wear away your lens coatings, but may also etch grooves into your lenses. The same goes for any paste or compound that polishes or buffs. The lens coatings you wear away by buffing are important to protect your eyes, especially for sunglasses and eyeglasses with anti-UV coatings. What about fillers? These products may look like they work because they fill in the tiny grooves, but the scratches are still there, blocking your vision. 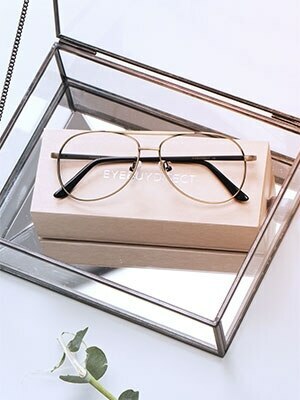 So instead of giving you suggestions that may damage your lenses, we want to provide you with some tips and techniques on how to prevent scratches on your eyeglasses. Stop using your shirt to wipe away smudges on your glasses. It's actually one of the leading causes of scratches on your eyeglass lenses. Using tissues, napkins, paper towels, or toilet paper to wipe your eyeglasses is another leading cause of scratches on your lenses. Paper products are made from wood pulp, so even if they feel soft on your face, wood-based tissues actually do more harm than good to your lenses. To avoid scratches while cleaning your glasses, there are a couple things you can do. If you need to wipe your glasses, make sure that you use a microfiber cleaning cloth. They're specially designed to be soft and gentle on your lenses to prevent scratching. Also, use running water to rinse away any debris that might scrape your lenses while you rub away spots. To give your eyeglasses lenses a nice, scratch-free deep clean, start by washing your hands. After running your glasses under warm water, apply some lotion-free dish soap to your lenses and gently rub them between your index finger and thumb. If you frequently need to clean your glasses on the go, used pre-moistened lens wipes to clean any spots or smudges on your lenses. The materials used for these wipes are specially designed to clean your lenses without scratching them. Check out our complete guide on eyeglasses cleaning for more tips. Pockets and purses are the best places to store your eyeglasses or sunglasses, sans case, if you want to scratch up the lenses. Even a couple of seconds of being jostled around in a bag is enough to leave you with a scratched pair of glasses and the desire to Google "how to remove scratches from your eyeglasses". To avoid getting scratches on your glasses or sunglasses, you should always store them in a case or protective pouch. All EyeBuyDirect glasses come with a protective, microfiber pouch and you can also add a case to your order for extra scratch protection. The best way to remove scratches from your eyeglasses is to treat them well so they don't get scratched in the first place. Avoid tossing them after you’ve taken them off. They're a valuable tool that you need and use every day, so treat them like it! Accidents do happen though. That's why all EyeBuyDirect eyeglasses and sunglasses come with anti-scratch coatings, free of charge! Learn more about our different lens coatings that protect your lenses and your vision.